Do you have good manners? Do you say please and thank you when you should? When you tell someone you’re grateful does it come off as sincere? 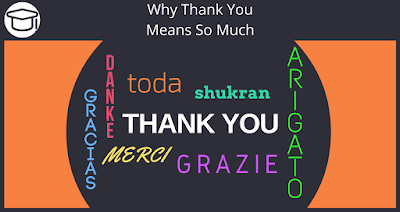 No matter if you say “Thank You” in person over digital communications it still needs to come off as sincere as possible or people will think you are just not being real. Keep it real people! Your Thank You Page (TYP) says more about you than you think! You may not believe that your TYP is a reflection of you but it communicates to your subscriber what future interactions from you might be like. Said simply every interaction with your subscriber, no matter how small builds an overall image of you. To illustrate this we’ll go over a few methods of how Digital Marketers like to use their TYP’s. The standard TYP usually consists of a basic “Thank You For Your Subscription!” and usually let’s the subscriber know that the information they requested will be emailed to them. This is very basic but it communicates more than you think. The simplicity of it reassures the subscriber that there is nothing else going on here but a sincere thank you and to check their email for what they requested. Straight forward simple communication. The next level is to include a download button on your TYP for them to instantly get the information they are looking for. With this minor tweak you will see some very interesting statistics. First and foremost it doesn’t give the subscriber a reason to check their email for the information they requested. It’s nice they can get instant gratification but in a small way they have already disconnected that there is an email waiting for them. You’ll see a dip in open rates when you don’t require someone to open an email to get the information they want. Another technique often used on Thank You Pages is to have the subscriber automatically forwarded to the affiliate offer after a set amount of time. Again, if you employ these kind of transition page you want to make sure that it’s relevant to the wants of the subscriber. Theres a mixed bag of feelings with marketers using this technique since the subscriber didn’t actually click on the link. Of course there are many other ways to use your TYP’s. You can add video and a variety of other media. The key is to be creative, relevant, and sincere. Set up your Sendlane™ account today and start making great Thank You Pages a part of your sales funnel. Leave a comment below on the best ways you’ve said “Thank You” either physically or digitally.